There are over 100-years of successful modern Chiropractic results. On average a Doctor of Chiropractic receives more schooling than a Medical Doctor. Chiropractors by far have the lowest insurance premium of all medical providers. Chiropractic care is not only virtually pain free, but actually feels great and often-times produces immediate results and/or relief from pain. Scientific evidence is over-whelming—there are 3 dimensions to your life—Physical, Bio-Chemical and Psychological/Spiritual. Most Chiropractors are able to provide a full-range of alternative care to enhance each of these areas. There are millions of Chiropractic “adjustments” made each year that help with allergies, asthma, infections, arthritis and many other areas of health. Chiropractic approaches health by correcting the cause of symptoms to correct health issues, and uses the bodies own innate natural ability to heal itself rather than using drugs, surgery or other invasive procedures that often only address symptoms not the cause. Isn't it about time you feel 100% confident in your choice of alternative Health Care!? This site is a valuable resource for your current and future health and wellness, and is the result of a 3.5 million dollar study into the Chiropractic arena—which offers one of the most misunderstood, not yet so often used—yet widely versatile, natural, and highly effective alternatives to the conventional medical approach to health currently available today. There are approximately 70,000 individual Chiropractors practicing in the USA—some good— some not so good. We at Chiropractors USA have personally hand-selected just a handful of some of the Chiropractors who we believe are the very best overall choice for personal, professional, results-oriented health and wellness care, as well as eliminating pain. Keeping your health (and pocket book) in mind, we realize that a large multi-faceted facility is not necessarily in your best health interest. By the same token we also know that a smaller facility may not be right for you either. With that said we carefully pre-screen each and every Chiropractic Doctor facility for you before your first office visit in order to help insure you receive the best personal, quality heath and wellness care from knowledgeable, skilled, experienced and friendly Doctors. Our selection process is tedious and costly. We have interviewed with many thousands of Chiropractic facilities, personally contacting, profiling and testing each Doctor/Owner we select as a member of our private network of alternative health care providers. We screened these Doctors for experience, ability, scope of benefits, facility atmosphere, and so much more. We continue to do this so that YOU the consumer can experience the most pleasant, gentle and rewarding alternative health care available today. We invite you to use the map below, or use our Doctor Locator to identify a qualified Doctor in your own area that can provide at no-cost-to-you a free initial exam and/or free evaluation regarding your own health and well-being. 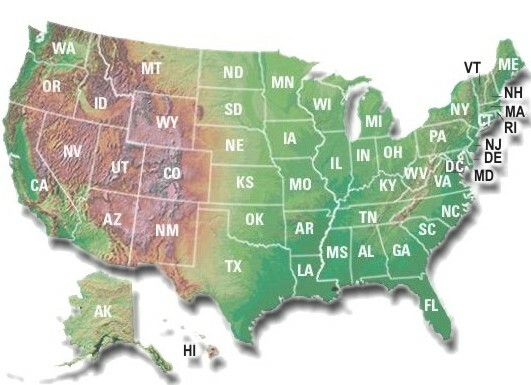 We invite you to select your State & City in order to choose the most qualified Chiropractor nearest you.